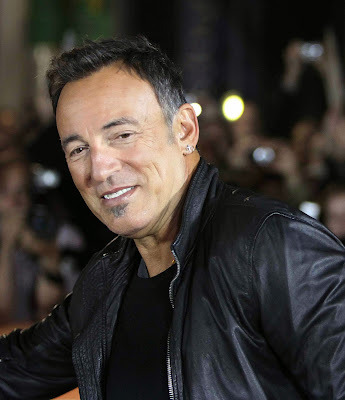 HALL OF FAME SPEAKS --- The Rock and Roll Hall of Fame years back refused to induct the E Street Band with Bruce Springsteen. But now, after considerable leaning on from within, the Hall of Fame has reversed that thinking and, have come up with an award for Springsteen’s amazing band. They'll get a Special Merit Award, cooked up in a backroom maneuver. Also in the better-late-than-never category are: Linda Ronstadt, Hall & Oates, and Cat Stevens. KISS also made the cut this year, as did Peter Gabriel. Nirvana made it on their first year of eligibility. Notably absent yet again are dozens of producers who made hit records and created the sounds of stars in the 60’s and 70’s including Phil Ramone, Richard Perry, Tommy LiPuma, Russ Titelman, and Nile Rodgers. Also artists like The Moody Blues and Chicago, Billy Preston and Mary Wells still remain locked out. Sting is not in as an individual artist. Bon Jovi remains locked out as are Chubby Checker and The Monkees. But they are running out of inductees. The year of eligibility for new nominees is now 1989. Music was in a shallow period for most of the 90’s. The choices are getting slimmer and slimmer. THERE’S MORE AT THE DOOR --- For a band that only put out a handful of albums, yet a band that relentlessly endures, there’s an abundance of video footage that’s still obtainable on The Doors. Previously unreleased and restored footage of the group’s early television appearances and music films unveiled combining early TV appearances with The Doors’ own music films, the new DVD release R-Evolution illustrates how the band evolved from the constraints of mid-sixties television to a point where they had the creative input and power to shape how they were portrayed on screen. From an unknown L. A. band creating early music films to an established worldwide phenomenon executing creative control over their celluloid persona, R-Evolution shows the growth of The Doors from being forced to accept the formulaic television approach to taking control of the medium. It’s all in the title – the evolution of a band that helped revolutionize the way rock bands promote their art. R-Evolution brings together a wealth of previously unreleased footage of The Doors. This release features the classics “Light My Fire,” “People Are Strange,” “Hello, I Love You,” “Crawling King Snake,” “L. A. Woman,” “Moonlight Drive,” “Break On Through (To The Other Side),” and many more. R-Evolution boasts a wealth of excellent bonus features, including a commentary by Doors members John Densmore, Robby Krieger and the late Ray Manzarek, plus producer Bruce Botnick and Elektra Records Founder Jac Holzman. Additionally there is a performance of “Break On Through (To The Other Side)” from the Isle Of Wight Festival circa 1970; a 45-minute documentary entitled The Doors – Breaking Through The Lens, and Love Thy Customer, a never-before-seen 1966 Ford training film with music by the group. Amazing archival footage from a band that went way too soon. HOMELAND THOUGHTS --- I don't recall seeing as much editorial comment as I have on the season-ender of Showtime’s Homeland. From critics and fans alike, the coverage has been really extensive and rather well done. The season-finale was their highest rated episode ... ever. Clearly, with the Brody character exiting the show; the scribes have wondered if it was a good idea; or, why did it take so long; or, how will the writers completely re-set the show. The idea of Carrie and Saul working together in Istanbul doesn't really grab me ... how about you? Curiously, some have even pondered how they're going to bring Brody back! For me, that character (essayed by the spot-on brilliant Damien Lewis) … was Homeland. With Claire Danes’ character about to give birth (Brody’s child no less) and Mandy Patinkin’s character literally shoved aside, it will never, ever really be the same show again. I said Monday, I was out … but, who knows. I may tune in again just to see how different everything really is. Killed-off characters have resurfaced again and again in episodic TV, so, anything really is possible. I watched the last several weeks of NBC's The Voice, which has been crushing every other similar type of show and have really enjoyed the antics of their judges as well as the music. Last night's bloated two-hour finale was enjoyable, but could have used a fine edit for sure. The duet between Christina Aguilera and Lady Gaga on the latter's "Do What U Want" was great, but there was so much hair flying it was at times hard to concentrate of the music. Also, the sponsors of the show are now called partners and the whole cross-promotion process is a bit staggering. Everything is up for sale I guess. 28-year old Tessanne Chin was the winner Congrats!